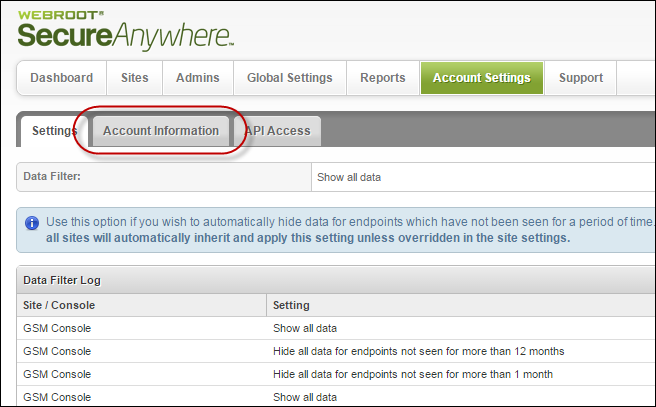 You can view information about different accounts, including the point of contact and the billing cycle. Parent keycode, which you can renew or upgrade. Click the Renew/Upgrade button to display information about your Channel Partner or Webroot account Manager, either of whom can assist you with renewing or upgrading. Download Usage Report information. Enter a valid date in the dd/mm/yyyy format and click the Download button. The system downloads the report in a CSV format.